Bahrain Aluminium Extrusion Company (Balexco), a leading aluminium extrusion company based in Bahrain, is gearing up to achieve new levels of success under the leadership of its newly appointed general manager Robert Holtkamp. A leading figure in the downstream aluminium sector, Holtkamp was previously the chief executive officer (CEO) of National Aluminium Products (Napco) in Oman where he led the company to its highest level of recorded sales. “Balexco is a sleeping giant,” said Holtkamp after taking over the new role. 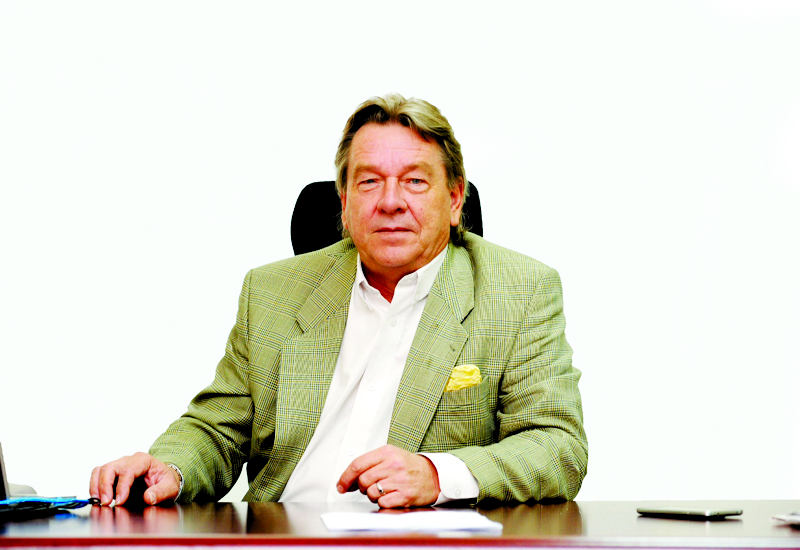 “The company was the first aluminum extrusion plant in the GCC when it was set-up in 1977. The board and I would like to grow the company to new levels of success and recognition in the sector for excellence, and quality while delivering increased profitability,” he added. Holtkamp’s appointment, incidentally, is part of a major overhaul and restructuring programme currently going on at the Bahrain based company, well known for its premium quality of aluminium extruded products. Since its inception in 1977, the Bahrain-based company has increased its production capacity to 33,000 tonnes per year from its initial capacity of 6,000 tonnes. Located in the Sitra Industrial Area and spread over 62,000 sq m, Balexco is backed by four state-of-the-art extrusion presses: two of those are from SMS Schloemann, Germany and one each from Glecim, France and GIA Spain. The extrusion presses are complemented by anodizing lines with a capacity of 4,500 tonnes per annum, horizontal powder coating line and a vertical powder coating line from Surface Treatment Technology SAT SpA Italy. The new vertical powder coating line is the first of its kind in the Middle East with Visual Recognition System (VRS) technology and has taken the company’s powder coating capacity to 16,000 tonnes per annum. Further, in line with its vision to be one of the most advanced extrusion plant across the GCC, embracing latest technical know-how available in the international market has been a norm at Balexco. “Balexco has kept itself constantly abreast of changing trends in the international arena. With consistent focus on quality, innovative designs and a global customer base, the company has a significant presence in high quality aluminium extrusions across the world,” a company spokesperson said. Also, in keeping with its global profile, Balexco’s plant and equipment conform to international standards of quality. The powder coating plant is in compliance with Qualicoat standard and the anodizing plant with the Qualanod standard. “Being an ISO 9001:2008 certified company we strive to go beyond the expectation of the customers, and achieve high levels of customer satisfaction as part of our continuous improvement process. We also operate under a rigorous environmental as well as occupational health and safety policy,” she said. In terms of products, Balexco offers a wide range of aluminium profile extrusions in different finishes that suits modern design specifications. Balexco has already made a foray into the industrial application profiles to garner a share of the fast developing industrial aluminium profiles. The company will be focusing on increasing the volume of architectural systems profiles and has set-up a new thermal break system machine. As the function of these thermally broken profiles is to reduce the energy, they would reduce the carbon footprint and promote the Green Building concept, thus consolidating Balexco’s position in the fast emerging new market.